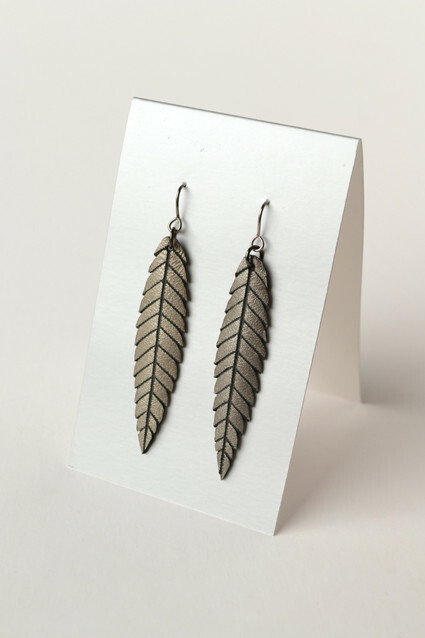 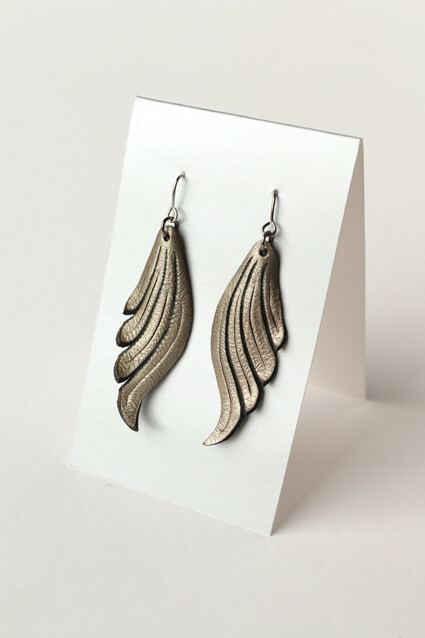 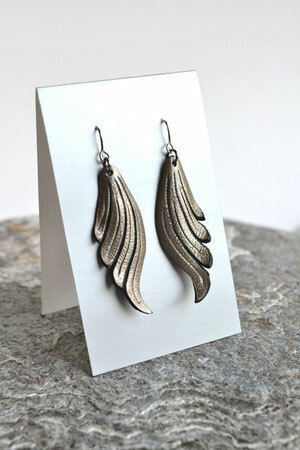 These 'wing' and 'leaf' inspired earrings have been created out of chrome-tanned metallic leather. 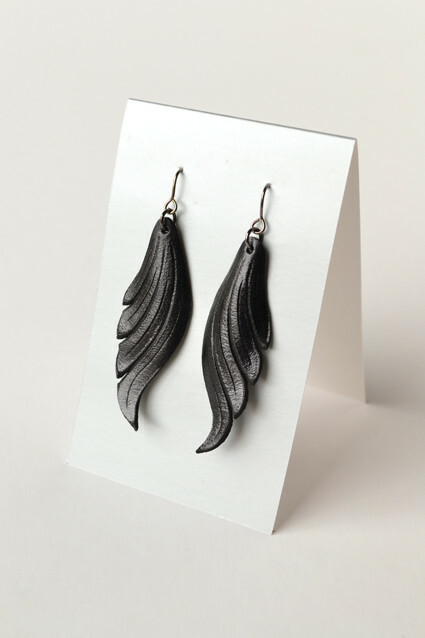 They have been shaped using heat manipulation. 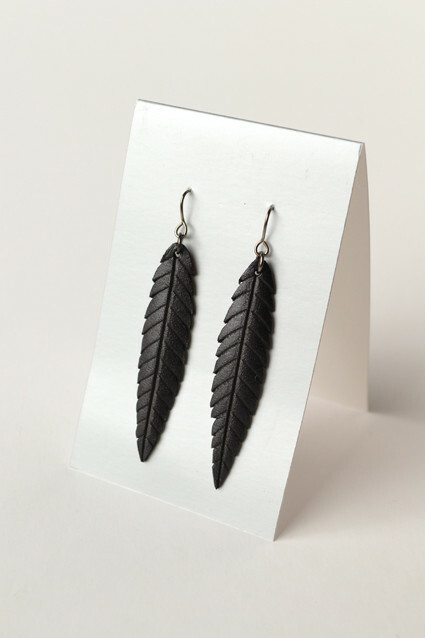 The gunmetal black earring hooks are nickel free.